Even though I’m running on a reasonably fast Windows system (Intel QX9650 CPU overclocked to 3.5 GHz, Intel 80GB SSD) Explorer is still a little laggy on that machine, especially when I fire off the built-in search facility. 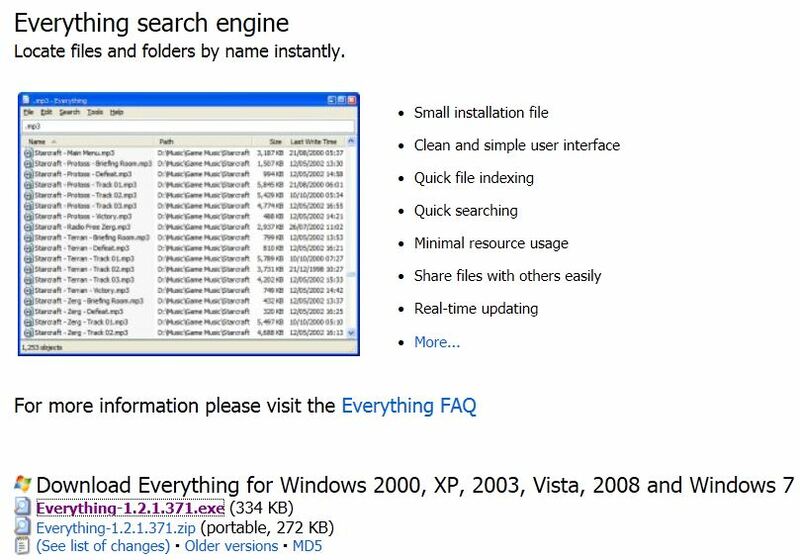 Everything beats the pants off Explorer on a series of simple sample searches by a margin of almost 2 to 1 (which is to say it’s nearly twice as fast). That said, it does search only file and folder names, not file contents. But in most cases, it finishes the search before or exactly as you type your search string, whereas Explorer can take a few seconds, particularly when pointed at non-indexed drives. Definitely worth a spot in your tool collection!